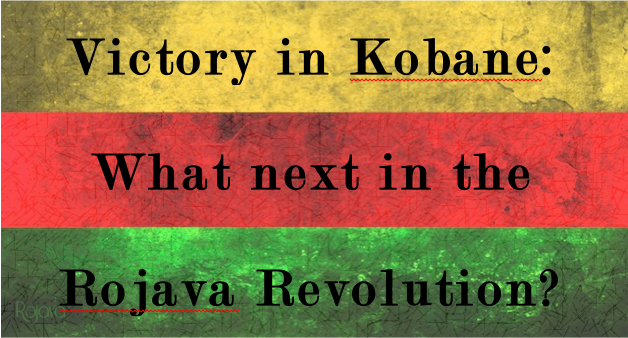 This event will go beyond the siege on Kobane to explore the depth of Rojava’s revolution and its potential impact on the region. We are very lucky to have well-known author and activist David Graeber, who recently visited Rojava, and Havin Guneser, member of the International Initiative – Freedom for Ocalan, providing us with a first-hand insight into the revolution, its history and its potential for the future. VENUE: Djam Lecture Theatre (DLT), Main Building, SOAS, Thornhaugh Street, Russell Square, London WC1H 0XG. Kurdish militants demanded concrete steps from Turkey to advance a fragile peace process on Tuesday, accusing the ruling AK Party of stalling and warning that the negotiations could break down. There have been high hopes in recent weeks that jailed militant leader Abdullah Ocalan would call an end to an armed struggle which has killed 40,000 people over three decades and stunted development in Turkey’s mainly Kurdish southeast. But his Kurdistan Workers Party (PKK) warned in a statement on its website on Tuesday that the AK Party was creating “false perceptions” and needed to show it was sincere. On January 6, a 14-year-old Kurdish boy named Ümit Kurt was shot dead by Turkish special forces in the Syrian border town of Cizre in southeast Turkey. Ümit Kurt was killed as he walked home through an area controlled by the Patriotic Revolutionary Youth Movement (YDG-H), the militant youth wing of the outlawed Kurdistan Workers’ Party (PKK). The YDG-H has been acting as a paramilitary force in Cizre for the past few months and has closed off several Kurdish neighborhoods with their armed checkpoints and patrols. A chair was allegedly hurled and five people were injured when a brawl broke out in Turkish parliament on Wednesday. The mass fight erupted when opposition legislators from the the ruling Justice and Development Party (AKP) deputies and MPs from the main opposition Republican People’s Party (CHP) and the Peoples’ Democratic Party (HDP) tried to delay the start of a debate on a divisive security bill that would allow police greater stop-and-search powers. The world’s largest press advocacy body has warned against a controversial security bill that will largely restrict the freedom to protest and assemble in Turkey, saying that it constitutes an “alarming threat to the freedom of information and to journalists.” Reporters Without Borders (RSF) said on Wednesday that the so-called reform package makes it easier for the police to crack down on “illegal” demonstrations and said journalists are already constantly exposed to arbitrary police behavior. The ban on the PKK is to be discussed during a special session in the German Bundestag on 26 February on the basis of the Die Linke’s motion demanding the removal of the ban, which has been in effect since 1993. In the meantime, Kurdish people living in Germany are preparing for demonstrations to protest the ban on the PKK. The co-chair of NAV-DEM (Democratic Society Centre), Yüksel Koç, said the ban on the PKK is anti-democratic and called on everyone to protest against it. Yezidis in the Şengal (Sinjar) mountains who have been resisting ISIS attacks for seven months have responded to the request of the KRG government and its press that HPG guerrillas should leave the region and to the government’s denial of the guerillas role in the war against ISIS. Şekir Hisên Xidir, a Yezidi man from the village of Gir İzêr, said “the withdrawal of the PKK from Şengal would mean the death of thousands of Yezidis.” Adding that if the PKK were to leave Şengal nothing would remain of the Yezidis and enemies would capture the area, Xidir expressed his hopes that all the political forces of Kurdistan would unite, saying “our enemies are one. All Kurds should unite and fight against the enemy. Women have taken the lead in the Rojava Revolution, establishing various institutions which include foundations, cooperatives and self-defence academies for the participation of women in social life and politics. Women in Rojava have now started to set up cooperatives seeking to create a women’s economy in order to ensure their participation in the economic life. In the Cizîrê Canton of Rojava women have founded 9 cooperatives and 2 bakeries in an attempt to build equality between men and women in the economy as well. Begum Acar from Socialist Feminist Collective interviewed Ayşe Tekağaç from Roj Women, about the lately published report of Roj Women conducted last September. You interviewed people, mostly Ezidis living in Newroz Camp (North Syria) which was established in August. What did you aim in this report? The main aim of the research was to document the situation and the needs of the Ezidi people who sought refuge in Rojava, who were attacked and forced to flee their homes by ISIS. Straight after the attacks in August Roj Women made contacts with the women’s organisations in Rojava, who particularly highlighted the lack of research and evidence documenting the situation of the Ezidi’s in Rojava. We are well aware that women especially become vulnerable in war torn, conflict areas, Roj Women took on this fact-finding mission and conducted a gender based field research. Media reports based on eyewitness and opposition sources saying that Turkey has become a party to the civil war in Syria have found their way into court proceedings. During the trial of the Islamic State (IS) militants who attacked Turkish security forces at Nigde last year, court files revealed that Turkey, beyond supplying opposition forces with weapons and ammunition, had also given artillery support to the opposition groups that captured Kassab. The United States and Turkey have reached a tentative agreement to train and equip so-called moderate Syrian opposition fighters and expect to sign the pact soon, US and Turkish officials said on Tuesday with Ankara predicting a signing in days. The agreement comes ahead of talks on Wednesday in the Saudi capital Riyadh between military chiefs participating in the US-led coalition against the Islamic State of Iraq and Syria (ISIS) group. Tuesday’s announcement put an end to months of difficult negotiations between allies Washington and Ankara on how to train Syrian rebel forces to eventually take on ISIS. In downtown Kobane, citizens walk among the ruins of what was once their beloved city. According to officials in the Syrian town adjacent to Turkey’s border, 80 percent of the city has been destroyed. The only place where buildings still stand in one piece is the west side. But Kobane is now liberated. Kurdish and coalition forces took control of the city on January 26th after militants from the Islamic State of Iraq and the Levant (ISIL) had held it for more than four months. While there is still on-and-off fighting in smaller villages surrounding the city, citizens are figuring out how to resume their lives. “When Kobani was liberated, it was a beautiful feeling. A feeling of freedom,” my friend Mustafa explained to me. Mustafa is a local journalist, and after being detained for two weeks by the Turkish authorities when he fled Kobani in early October, he decided to return to his hometown to work and to help facilitate journalists inside the city. For four months, Kobani had been under a brutal siege. ISIS jihadists attacked the city from the east, west and south, surrounding it from all sides. To the north lay Turkey, forever against the autonomy the Kurds of Syria had created for themselves and therefore no friend of the Kurdish resistance in Kobani. It was easy to walk out from the refugee camps where they had faced hunger, cold and pain. Excitement belongs in the heartbeat. Their heartbeats were 5 steps ahead of their feet. It was a surreal feeling. They were finally heading home. But they must go through a process which, to them, was alien. Long lines in front of the Turkish Police station, to give fingerprints for the last time to a land that they did not belong. They sign a statement saying if you are willing to go back to Kobane, there can be “no return” to Turkey. A choice which did not matter for them. They were thirsty to go back and step onto the soil they first crawled on, to breathe in their memories that helped them survive many months in Turkey. Whilst in Turkey, many had sworn to kiss the soil three times as soon as they arrived. In late January, the Kurdish forces of the People’s Protection Units, or YPG, declared that they had recaptured the northern Syrian city of Kobane, known in Arabic as Ein al-Arab. The Kobane enclave has long been under siege by the jihadis of the so-called Islamic State, who were operating out of the surrounding Sunni Arab countryside. For months, the conflict rarely rose above low-level skirmishing. But in mid-September, after its victories in Iraq and eastern Syria, the Islamic State suddenly struck in force and threw the Kurds back to the border. As tens of thousands of Kurdish civilians fled in panic across the border to Turkey, the enclave seemed doomed to fall under complete Islamic State control—but then things turned around. On 15 February 1999, Kurdish leader Abdullah Öcalan was captured in Kenya by Turkish special agents acting in connection with CIA and Mossad, while en route from the Greek embassy to Nairobi airport. The capture of Turkey’s “enemy number one” was claimed by the authorities in Ankara as their victory against the Kurds who had been waging a mass uprising against the policies of denial and discrimination; a struggle Öcalan had led since the 1980s. The capture of their leader was regarded by the Kurds as the outcome of an “international conspiracy” involving the security services of several nations including the CIA, MI5 and Mossad. People continue to mobilize and fight back across North Kurdistan and Turkey and the reaction continues to be heavy-handed on the part of the state. We will begin the report tonight with an update on the mobilizations that are taking place in reaction to the killing of Özgecan Aslan and against violence against women. Please see our previous posts for additional news and context on this tremendous fight-back. Since the beginning of the Kobane siege by Daesh (ISIS) the Kurdish left, and specifically the Rojava model of social organisation has been studied and followed by several organisations, activists, networks and committed scholars. I decided to collaborate with KurdishQuestion.com to produce a series of short articles to expose (and prove) the similarities between the western (and not western too) anarchist tradition and democratic confederalism. While one of my concentrated areas of study is political theory (and radical political theory), I decided to help in drawing the parallels between both paths and familiarising them to one and other. I hope this will help and all criticisms are welcome. The Kurds and ‘Others’: ‘Easy’ and ‘Convenient’ Targets? 21. A call for international aid to rebuild and normalize life in the canton of Kobane, Administration of the Kobane Canton, 14 February 2015.